WALNUT >> Homicide detectives are investigating the fatal shooting of a man and woman inside a Walnut home Thursday as a murder-suicide, authorities said. Yusheng Zhuang, 68, fatally shot his 50-year-old wife, Guizhi Zhang, before turning the gun on himself, according to Deputy Guillermina Saldaña of the Los Angeles County sheriff’s Information Bureau. A report of a “family disturbance” shortly before 11:30 a.m. first drew deputies to the home in the 100 block of Avenida Grulla, sheriff’s officials said. While responding to the call, which came from someone outside of the home, deputies received information that there may be firearms inside the house, Sgt. Bill Cotter of the sheriff’s Homicide Bureau said. After receiving no answer at the door of the home, deputies surrounded the two-story house and called for a sheriff’s SWAT team to take over the scene, officials said. Members of the sheriff’s Special Enforcement Bureau made entry into the house about 4:30 p.m., Cotter said. They discovered the bodies near one another on the first floor of the home, the sergeant said. “A firearm was recovered at the scene and after the initial investigation, it was determined that a possible murder-suicide had occurred,” Saldaña said in a written statement. Officials had no contact with anyone inside the home prior to the discovery of the bodies, according to Cotter. No neighbors or deputies reported hearing gunshots at any point Thursday, he said. While the shooting appeared to be a murder-suicide, detectives were still investigating who the shooter was, Cotter said. WALNUT >> Reports of a family disturbance led deputies to discover a man and woman shot to death inside a Walnut home on Thursday afternoon, officials said. 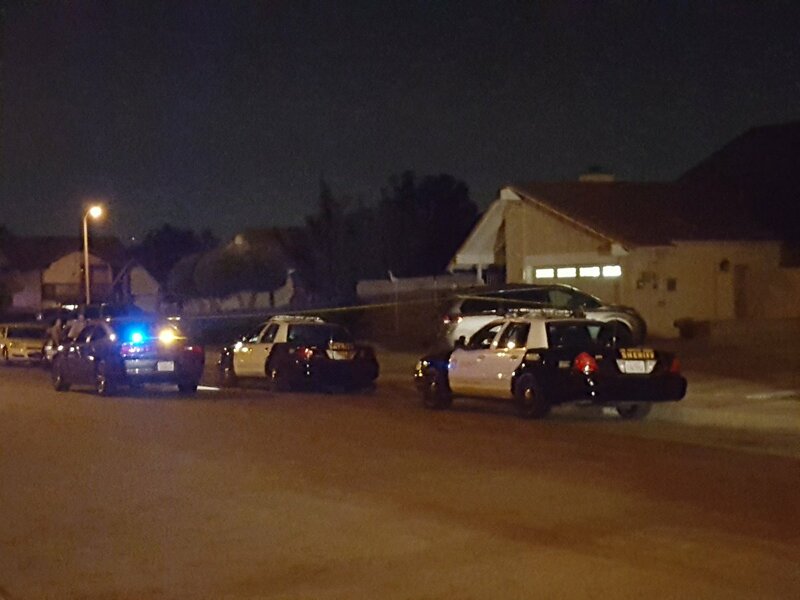 The deaths were first discovered about 5 p.m. when deputies from the sheriff’s Walnut-Diamond Bar station forced their way into the home in the 100 block of Avenida Grulla, Deputy Trina Schrader of the Los Angeles County sheriff’s Information Bureau said. Once inside, they found the bodies of two people, described only as a man and woman, who had been shot to death, she said. Deputies first received a call from the home about 11:30 a.m. reporting a “family disturbance” at the home, Schrader said. But no one answered the door at the home, she said. As the afternoon went on, deputies obtained a warrant to enter the home before discovering the bodies, she said. No suspects were in custody, and there was no information regarding any possible suspect or suspects, Schrader said. No further details were released. Officials at the sheriff’s Walnut-Diamond Bar Station deferred all inquiries to their counterparts in the sheriff’s Homicide Bureau. SAN MARINO >> San Marino police arrested a woman on suspicion of embezzling nearly $200,000 from her elderly employer over the past two years, authorities said. Rebecca Diaz, 44, of Los Angeles is accused of embezzlement and grand theft following her arrest, which took place just before 5 p.m. Tuesday, according to San Marino police officials and Los Angeles county booking records. Los Angeles County Adult Protective Services officials contacted San Marino police regarding possible financial elder abuse earlier in the afternoon, San Marino police Sgt. Tim Tebbetts said in a written statement. The victim, a San Marino man in his 70s, employed Diaz as the account manager at his South Pasadena-based agricultural business, Detective Brian Wong said. “The initial report claimed there were abnormally large amounts of money being deducted from the victim’s bank account,” Tebbetts said. Diaz had worked for the victim even longer, and detectives continued looking into the possibility of additional theft, Wong said. Anyone with information is asked to contact Detective Wong a 626-300-0719. NORWALK >> A Norwalk man who fatally shot his friend and tried to stage the death as a suicide received a sentence of more than four decades in prison after pleading “no contest” to first-degree murder, authorities said. Diego Arnold Castro, 33, of Norwalk, entered the plea in Norwalk Superior Court, Los Angeles County District Attorney’s Office spokeswoman Sarah Ardalani said in a written statement. He was immediately sentenced to 45 years to life in state prison. An addition to a charge of murder, Ardalani said Castro also admitted the special allegation that he personally used a firearm in the fatal shooting of 25-year-old Jose Angel Rios, also a local resident, at Castro’s home in the 14500 block of Halcourt Ave.
Castro and his victim had gone to school together and been friends for “many years” prior to the shooting , Ardalani said. “On Jan. 15, 2015, Castro picked up Alvarez and took him to the defendant’s Norwalk home,” Ardalani said. “While Alvarez was sitting on Castro’s couch, the defendant came up behind the victim and shot him in the left side of his head,” she said. “The defendant then shot himself in the leg to make it seem as though the victim had shot Castro and then committed suicide,” Ardalani said. The defendant called 911 and told authorities Alvarez had shot him and then killed himself, the prosecutor said. Authorities initially believed Castro’s account, but suspicions grew as the investigation unfolded and evidence continued coming to light, officials said. The victim was shot in the left side of his head, Syn said. The victim was right-handed. After receiving treatment for his gunshot wound, detectives arrested Castro for Rios’ murder on Jan. 23, 2015, records show. Castro never revealed a motive, however Syn said he suspected he was jealous of his friend’s wife. On the day of the shooting, Castro sent Rios’ wife a text message, pretending to be Castro, saying that was going to kill himself and to “take good care of Diego,” according to Syn. The negotiated plea came during what was scheduled to a hearing to set a preliminary hearing date, according to Deputy District Attorney Don Syn, who prosecuted the case. Castro was initially accused of the special circumstance of lying in wait, which could have potentially made him eligible for the death penalty if convicted at trial. Authorities had not yet determined whether to pursue capital punishment in Castro’s case. PASADENA >> Police jailed a homeless man believed to have tuberculosis on suspicion of assault with a deadly weapon after he spit in a woman’s face for no apparent reason Wednesday evening, officials said. Maurice Cornelius Spears, 33, was arrested following the alleged assault, which took place about 6:50 p.m. in the 200 block of East Walnut Street, Pasadena police Lt. John Mercado said. A Pasadena woman in her mid-30s was crossing north across the street when she passed by Spears, who was crossing south, the lieutenant said. “When he drew up near to her, he spit on her, striking her in the face,” he said. There was no exchange of words or apparent motive for the attack. The woman went home and reported the incident to police. Officers recognized Spears from the description provided by the woman, Mercado said. They found Spears nearby and arrested him. During the arrest process, Spears told police he had the infectious and potentially deadly disease tuberculosis, Lt. Jesse Carrillo said. Due to the danger of spreading the disease, police booked Spears on suspicion of assault with a deadly weapon. According to county booking records, Spears, who is already on probation due to a previous conviction, was being held without bail pending his initial court appearance. PASADENA >> Police arrested a man wanted in connection with a San Bernardino County armed kidnapping following a short pursuit in Pasadena on Thursday afternoon, authorities said. Pasadena police received information that a suspect in the San Bernardino County kidnapping investigation may be in their city, Pasadena police officials said in a written statement. Officers spotted the suspect driving a burgundy SUV the area south of the Rose Bowl, police said. The driver refused to pull over, initiating a short pursuit. “The suspect drove to a residence in the area of Manzanita Avenue and Orange Grove Blvd. where a brief police containment was established,” the statement said. 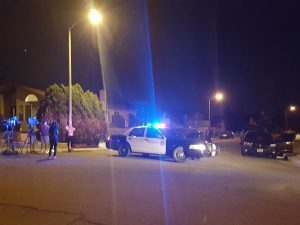 Police surrounded the home and ordered the suspect to surrender via a loudspeaker, Pasadena police Lt. John Mercado said. He complied and was taken into custody without a struggle. The suspect is a 50-year-old man who’d been sought in San Bernardino County since November of 2015 in connection with an armed kidnapping case, Pasadena police Lt. John Mercado said. No further details regarding the kidnapping case were available. Police withheld the suspect’s name was not available Thursday afternoon as they continued their investigation. SAN GABRIEL >> Deputies arrested a man sought in connection with a machete attack on a woman in Altadena after an hour-long neighborhood search near San Gabriel late Wednesday, authorities said. Authorities had been seeking 45-year-old Gaines Ashley Boyd since late Wednesday morning, when he allegedly struck his roommate in the head with a machete in Altadena and fled the scene, Los Angeles County sheriff’s officials said. 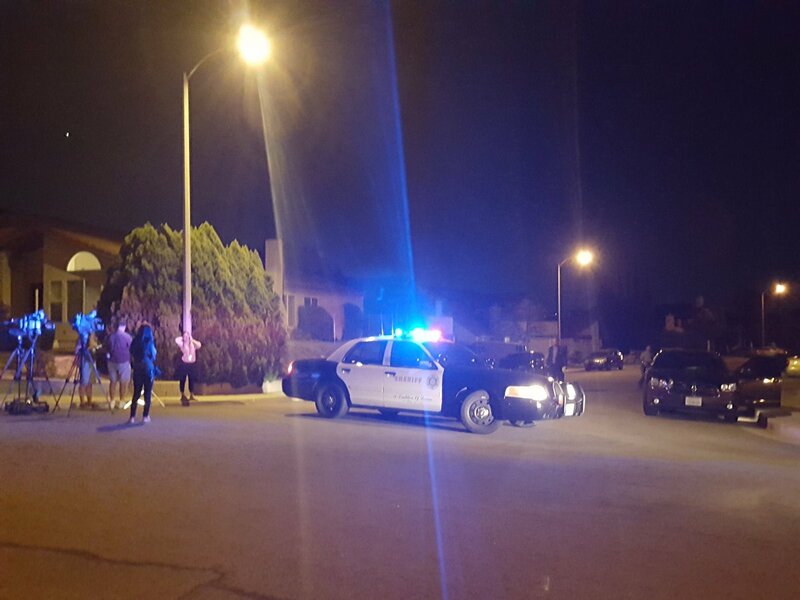 Deputies and Pasadena police spotted Boyd about 9:20 p.m., driving in the 1900 block of East Colorado Boulevard, Pasadena police Lt. John Luna said. Deputies followed on the ground and via helicopter as Boyd drove a silver Porsche Carrera at high speeds to the 9100 block of Duarte Road in unincorporated East San Gabriel, sheriff’s officials said. He then exited the car and ran through a nearby apartment complex, prompting deputies to launch a neighborhood search, sheriff’s Lt. Ronald Daily said. Boyd was found and arrested without a struggle in a residential garage about 10:30 p.m., he said. He was accused of assault with a deadly weapon in connection with the Altadena machete attack, which unfolded at his home in the 1500 block of East Altadena Drive, sheriff’s Lt. Daniel Stanley said. The suspect’s roommate, a 45-year-old woman, suffered a serious but not life-threatening head wound in the attack, he said. According to county booking records, Boyd was being held in lieu of $75,000 bail pending his initial court appearance. ALTADENA >> Detectives are seeking a man who struck his roommate in the head with a machete at an Altadena home on Wednesday, officials said. The attack took place about 11:10 a.m. in the 1500 block East Altadena Drive, Los Angeles County sheriff’s Lt. Daniel Stanley said. Deputies responding to a report of a “disturbance” at the home encountered a 34-year-old woman bleeding from the head after being struck with a machete, Stanley said. “The victim was bleeding profusely and was transported to a hospital where she is being treated for a laceration to the head,” the lieutenant said. The injury was not believed to be life threatening. The attacker fled the area in a sedan before deputies arrived, Stanley said. Investigators knew the identity of the 45-year-old suspect, but did not release it publicly as they continued seeking him Wednesday evening. The suspect and victim were initially described as roommates, he said. Arcadia police rushed to Santa Anita Park in their city after their counterparts in Altadena received word that the suspect may have been heading there, officials said. Officers search the area but found no sign of the man. The search for the suspect continued Wednesday night. The motive in the attack remained under investigation. Anyone with information can reach the Los Angeles County Sheriff’s Altadena Station at 626-798-1131. Tips may also be submitted anonymously to L.A. Regional Crime Stoppers at 800-222-8477. COVINA >> Foul play was not suspected Sunday in the death of a man found slumped over the wheel of his van in the parking lot of a Covina grocery store, officials said. A passer-by called authorities about 8 a.m. after noticing a man slumped over the steering wheel of a van in the parking lot of Stater Bros., 1023 N. Grand Ave., Covina police Sgt. Antonio Zavala said. Paramedics responded and pronounced the man, who was estimated to be in his 50s, dead at the scene, the sergeant said. It appeared the body may have gone unnoticed for several days, he said. Los Angeles County Department of Medical Examiner-Coroner officials planned an autopsy, however, there were no overt signs of foul play, and the death was believed to be due to natural causes. PASADENA >> Police arrested a Las Vegas man Sunday in connection with a string of at least four strong-arm robberies in northwest Pasadena over recent days, including one targeting a 12-year-old girl, officials said. Tremarie Jackson, 18, was booked on suspicion of robbery following his arrest about 12:45 p.m., according to Pasadena police officials and Los Angeles County booking records. In response to a spate of four chain-snatching robberies targeting women and a girl since Sept. 16 in the vicinity of Fair Oaks Avenue and Washington Boulevard, officers had been paying special attention to the area, Pasadena police Lt. John Mercado said. Officers spotted a man matching the description of the robber, even wearing the same clothing worn in a robbery the previous day, walking with a gold chain dangling from his hand, Mercado said. The man, later identified as Jackson, ran from officers into a nearby apartment complex, the lieutenant said. As officers were searching the area, they found a car trying to leave the area and stopped it. Jackson was found trying to hide, lying down in the back seat of the car, Mercado said. All three suspected were arrested. Driver Raven Dixon, 19, of Pasadena and front passenger Fox Devonte, 21, of Pasadena were booked on suspicion of conspiracy to commit robbery. The chain Jackson was seen carrying was not found, Mercado said. No victims had come forward Sunday afternoon to report have been robbed of a necklace in the area. In each of the four crimes reported so far, a man approached female victims, snatched gold necklaces from their necks and ran off, Mercado said. In one of the cases, on Washington Boulevard, the man robbed a 12-year-old girl. The string of robberies believed linked to Jackson were reported about 2 p.m. on Saturday at Glen Avenue and Pepper Street; about 3 p.m. on Thursday in the 500 block of East Washington Boulevard; about 9 a.m. Tuesday at Fair Oaks Avenue and Hammond Street; and about 10 a.m. Sept. 16 in the 600 block of Palisade Street, police said. Jackson, Dixon and Fox were being held in lieu of $50,000 bail pending their initial court appearances, records show.